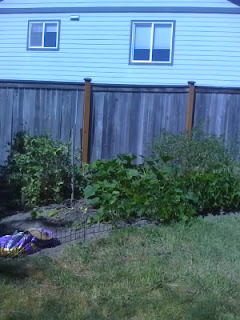 A Resourceful Home .com: Garden Update! 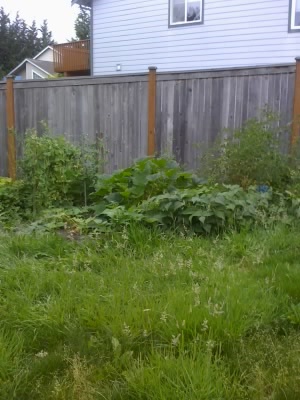 Last time I posted about the garden, this is what my yard looked like. I managed to get all the weeding done and it took awhile because I was also redirecting lots of vines and thinning some plants. It took four 'sessions' of weeding, some with kids and some without to get it all finished. 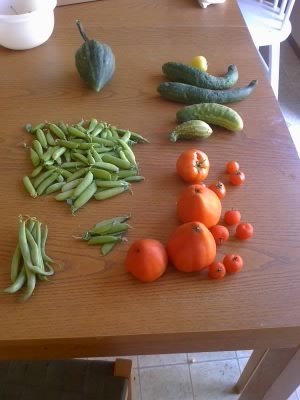 Here is what the garden yielded this week. Plus some lettuce we already ate. Not tons of stuff, but definitely helping the budget! These are the cucumber plants. 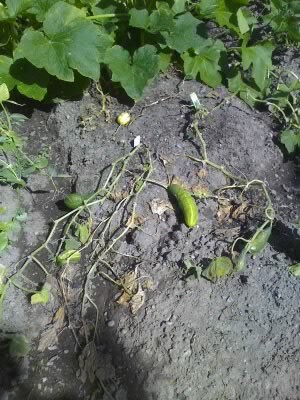 One lonely lemon cucumber grew, but it's vine has withered so I don't think there will be more. There are two other cucumber plants among the zucchini that are doing OK. 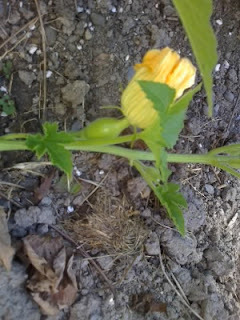 This is the beginning of an acorn squash. We'll see how it progresses. 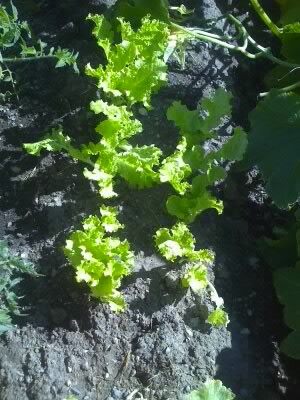 Here is the newly thinned lettuce. It looks so much healthier and more appetizing now, even though there is less of it! 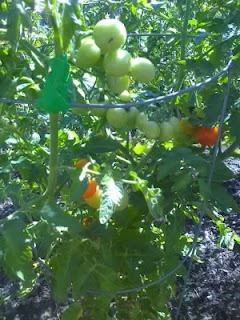 Finally the tomatoes are coming in! So far only early girls have ripened, but this week lots of green globes started appearing on the other 4 plants. Yahoo! I'll try to post again about the garden next week.